Spend a Day with TRACKS at Trent! Bus to the Water Walk! As many of you know, TRACKS has been on a program pause over the last year. During this time we took time to reflect on what has worked well, what changes should be made and how we want to continue moving forward with innovative and culturally-relevant educational programming. One of these main changes is how the program is run. 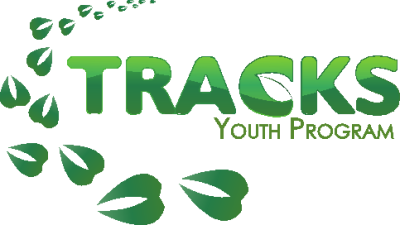 TRACKS is now working in a new organizational structure, where three coordinators are working under the umbrella of TRACKS to deliver two distinct programs. Kristin Muskratt is the coordinator for the Oshkwazin program, which is an Indigenous youth leadership program nested within the TRACKS youth program at Trent University. Oshkwazin offers meaningful work and volunteer experience, as well as mentorship, training, team-building, and cultural learning experiences, for high-school-aged Indigenous youth. Kristin is an Anishinaabe-kwe from Curve Lake First Nation who has past experience working as the Youth for Water program coordinator. She is also an acting member of Sacred Water Circle, Trent Source Water Protection Committee, and Curve Lake First Nation’s Environment and Climate Change Committee. Kristin has a strong connection to Nibi (water) and is looking forward to further developing youth leadership opportunities in Nogojiwanong and surrounding communities. Outreach and Education is a section of TRACKS you may be more familiar with. It is through this program that our day camps and school programming have run from in the past. Kelly King is our Outreach and Education Coordinator and she focuses on our day-to-day programming for students ages 6-13. This program engages kids with hands on curriculum that links Indigenous ways of knowing to scientific inquiry through camps, PA Days and school workshops. Kelly is a settler with ancestral roots stemming from Latvia, Poland, England and Scotland. She is a recent graduate from York University’s Masters of Environmental Studies program where she focused her research on ways in which to discuss Indigenous histories of Toronto, as well as settler identities, through community arts practices. Kelly is passionate about creating spaces to engage youth with Indigenous Environmental Sciences and is looking forward to connecting further with community and school board partners this fall. Madison Laurin, will be working as our Operations Coordinator and focuses on all the behind the scenes work of the TRACKS program. She supports both TRACKS Education and TRACKS Oshkwazin equally, ensuring both projects are moving along soundly and that our First Nation, organization and school partners are all being kept up to date on what’s happening at TRACKS. Madison is a settler-Canadian who grew up in Southern Alberta with a family of British, French, Hungarian and German descent. She moved to Toronto to pursue her studies at the University of Toronto and through this work she was involved in research and advocacy work with Indigenous groups in North and Central America; from Alberta to Hawai’i, Guatemala, Panama and Belize. Madison is passionate about learning about the people and stories of this territory and is grateful to continue her work with communities in and around Nogojiwanong/Peterborough. The three of us are looking forward to continuing the innovative, inclusive and exciting programming that TRACKS has delivered in the past and are excited to connect with you in the near future.